Daycraft have unveiled more cute and cuddly friends in the Animal Pals range. 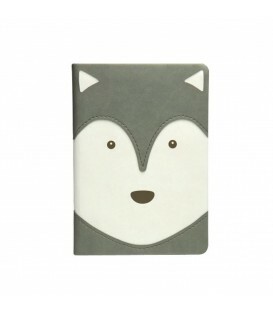 The new additions add even more choice for those who love these notebooks, and are sure to cater for all ages. Added to the range that includes the Penguin, Hippo, Sheep, Panda, Tanuki, frog, Monkey, Tiger are the Husky, well trained dont worry! Pig, who we promise won't eat all the food in your house! Bear, Loves his honey and is real cuddly and the Baby Seal that will melt your heart after one look!